Build, run, and measure mobile rich-media ads with our simple, yet powerful, cloud-based platform. 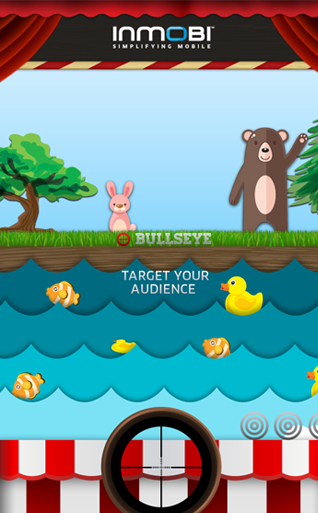 It is the only HTML5 visual authoring platform created specifically for the mobile marketplace. Built by designers, for designers. 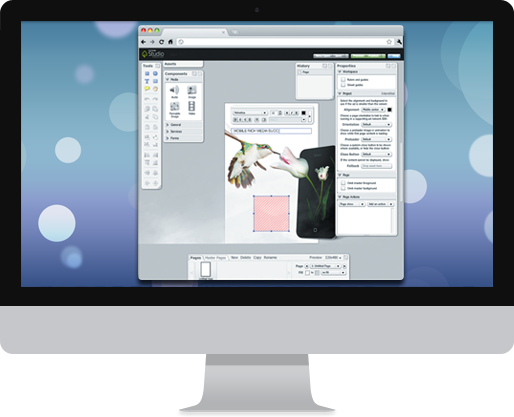 Drag and drop interface simplifies the design process. Advanced tools enable coders to maximize design and functionality. Includes human interface gestures, animation, video, geo-location, mini-games and more. Deploy for iOS, Android or Windows and multiple form factors including smart phones and tablets. Supports all leading ad networks and hundreds of premium publishers. MRAID compliant. Run ads confidently regardless of publisher or application. Optimize creative in real time. Centralize performance and engagement metrics from all distribution channels. Track app installs and ad engagement such as shake, orientation, device and more. Measure and create your own custom event. Unleash creativity by leveraging InMobi Studio's capabilities to deliver high-impact rich media ads. Ads developed on InMobi Studio have won awards for innovation, creativity, and increased engagement. From the latest IAB Mobile Rising Stars ad formats to SmartAds with live feeds, you can do it all with InMobi Studio. InMobi Studio is a simple, yet tremendously powerful platform, that empowers marketers to build, run, and measure mobile rich-media ads. InMobi Studio is the only HTML5 visual authoring platform built specifically for the mobile marketplace. Our cloud-based platform is built for, and by, designers. As a mobile-first technology leader, we've simplified the complex ecosystem so you don't have to. See what our award-winning creative team has been up to, and get your creative juices flowing!